Who doesn’t know about the show Produce 101? The survival show series has become the program where lots of talented Hallyu idols, singers, and entertainers are discovered. Not just the members of the winner groups, I.O.I, Wanna One, and IZ*ONE, but other contestants have also debuted either as part of a group or as a solo artist. Kim So-hee is one of those contestants. 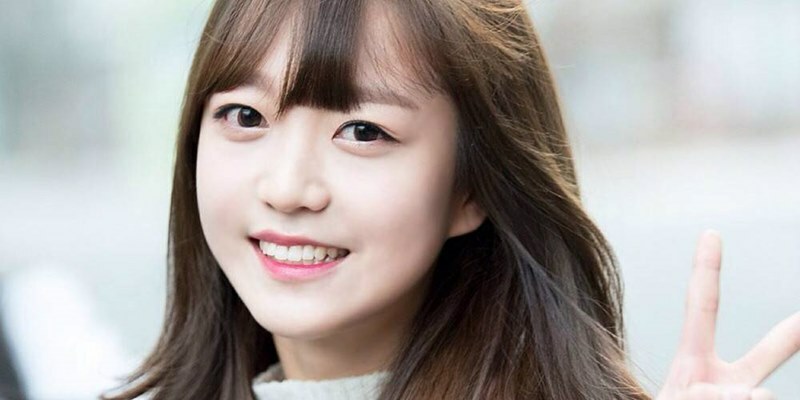 She briefly debuted as a member of the project fan group I.B.I, and debuted in the long-term as a female soloist. Apart from performing on stage, Kim So-hee also shines as a host on variety shows, showing her to be a multi-talented celebrity at her young age. In this article, Channel-Korea will tell you all about Kim So-hee, starting with her personal profile and fun facts, her discography and filmography, her appearance on Produce 101, her debut as a member of I.B.I and her solo career, her Instagram feed, fashion style, and latest news. So, stay tuned! Kim So-hee was a trainee for 1 year and 4 months. Her hobbies include singing, whereas her specialties are singing and dancing. Kim So-hee joined the audition for Superstar K.
She also participated in Produce 101, season 1, and finished the show ranked 15th. Kim So-hee participated on The God of Music 2 and debuted in the project group C.I.V.A, with fellow Produce 101 contestants Yoon Chae-kyung and Lee Soo-min. Not only was she in C.I.V.A, she also debuted in another project group, I.B.I, with some other eliminated contestants from Produce 101, including Lee Hae-in, Yoon Chae-kyung, Han Hye-ri, and Lee Soo-hyun. In 2017, Kim So-hee was included in the line up of Girls Next Door, a project girl-group formed by the television program Idol Drama Operation Team, with other female idols such as Red Velvet’s Seulgi, Jeon Somi, Oh My Girl’s YooA, MAMAMOO’s Moonbyul, and Lovelyz’s Sujeong. She wants to go on variety shows, especially Running Man, because she used to run track when she was in school. She also wants to appear on Radio Star because of her curiosity about handling the tough questions. Kim So-hee’s ideal type is actor Kang Ha-neul. She also admired B1A4’s Jinyoung for his capability in singing and producing music. In an interview with International bnt, the singer shared her support for Hotshot and former Wanna One member Ha Sung-woon, as both of them went to the same high school during freshman year and went through JYP’s audition for a year. She even cried when she was Sungwoon was chosen as the last member to be added to Wanna One. Earning her nickname as the ‘quick contestant’ on Produce 101, Kim So-hee has lent her beautiful voice to various Korean drama soundtracks, such as Kim So-hyun’s drama, Let’s Fight Ghost, Seo In-guk’s drama, Shopaholic Louis, and Lee Yeon-hee’s drama, Reunited Worlds. Not only solo songs, Kim So-hee has also collaborated with other singers in project groups, namely C.I.V.A, I.B.I, and Girls Next Door. In this section, Channel-Korea has put together the list of Kim So-hee’s songs and albums. Initially recognized as a contestant on Produce 101, Kim So-hee’s name became more widely known through singing and hosting gigs on broadcast programs of beauty and food shows due to her eloquent speech. You can check out Kim So-hee’s work on variety shows below! In 2017, Kim So-hee is honored to receive the Korean Performing Arts and Newcomer Award from the Korean Culture Entertainment Awards. The achievement was the first award that Kim So-hee collected as a singer. Way to go, So-hee! As the only representative of her agency, Kim So-hee did a good job as the contestant on the first season of Mnet’s survival show Produce 101. In the early episodes, Kim So-hee was even able to achieve the sixth ranking and was considered as to be a popular trainee, earning the nickname ‘Quick So-hee’. Her most popular performance in Produce 101 might be when she gave a powerful performance of EXO’s Call Me Baby, as you can watch below! In June, 2016, Kim So-hee talked about her experience on Produce 101, saying that it was the hardest when she had to finish a mission within a day, “I am slow when it comes to learning, so it was hard for me to follow along with the others’ speed. The fight among the girls for the center and main vocalist spot was also no joke, hence I lost the fight”. She also mentioned some I.O.I members in her interview, “When I had a hard time, I leaned often on Jung Chaeyeon. She was a friend to whom I could relay my concerns. Jeon Somi is someone who gives off a celebrity feel even when she is just standing still. 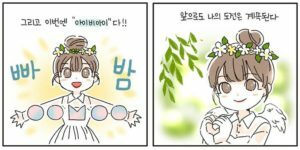 I also wanted to emulate Choi Yoojung’s charisma on stage, so I had watched her Bang Bang stage multiple times”. Besides C.I.V.A, Kim So-hee was also included in another project group made by the fans, named I.B.I, which stands for ilbanin (normal people) and phrase ‘I Believe It’. Along with Kim So-hee, I.B.I had four other members, namely Lee Hae-in, Yoon Chae-kyung, Lee Soo-hyun, and Han Hye-ri, and debuted under LOEN Entertainment. Prior to the group’s debut, the webtoon series I.B.I’s Debut Story was released, and summarized each member’s journey until they debuted as members of I.B.I. 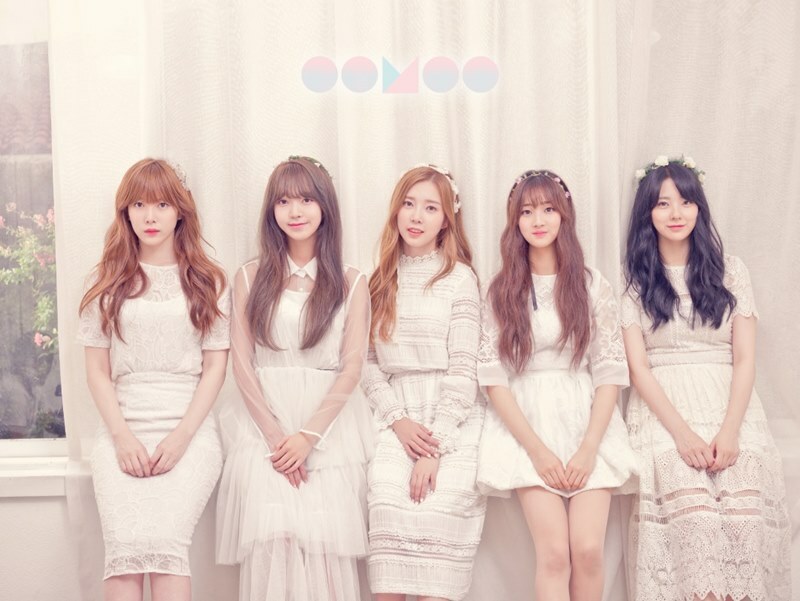 I.B.I held their debut showcase on August 18, 2018, and released the single Molae Molae. During the event, Kim So-hee sang When the Cherry Blossoms Fade, a song that she performed as a part of Produce 101. She revealed how she nervous she was to sing the song, “I thought about Produce 101 and almost teared up”. Kim So-hee joined the promotion of I.B.I including the song and television programs until November, 2016. After concluding her activities with C.I.V.A, I.B.I, and Girls Next Door, Kim So-hee made a debut as a female solo singer in November, 2017, by releasing her album The Fillette on November 8, 2017. The album was distributed through Genie Music and sold over 3,764 copies. You can watch the live performance of Kim So-hee’s solo debut with the title track Sobok Sobok! Soon after she finished Produce 101, Kim So-hee apologized for her controversial behavior on the premiere episode of the show through an Instagram post in early April, 2016, “I apologize sincerely to the people who were bothered by (my actions). That’s not what I meant and I wanted to explain myself, but I think people misunderstood because of my facial expression!! But I hope people understand that the facial expression was definitely not one of bad intent!!!”. Not only expressing her regret about the controversy, Kim So-hee also thanked her fans for their endless support, “I’m so thankful for the good nickname and for those who made such pretty posters for me each time, how can you be so good!! I want to actually pay money to buy them, hehe. I thank you once again. And everyone who supported and loved me~!!!! I am reading all the DMs! Don’t worry – I just couldn’t respond to all of them because I was busy. To be honest, each message was such a big strength to me while I was filming and practicing, and I even cried a lot of times… Hehe. In the end, you guys were the strength behind how far I was able to come. The fans who supported me and those who voted for me!!!! You are the best, prettiest, and the most shining people in the world”. In June, 2017, she revealed a shocking experience from her early days through the television program Idol Drama Operations Team. It turned out that the CEO of her former agency had proposed to her, “He actually saw me as a woman. I was so scared that I could not even reject him right away. When there was a schedule I had to attend to, he would have me sit in the passenger’s seat beside him and drive me around. He even sincerely proposed to me, saying, ‘Let’s get married.’ I think you have to experience these kinds of situations if you want to debut”. That was completely terrifying! We sincerely hope Kim So-hee will only experience good things in the future. During one of her schedules with I.B.I, Kim So-hee looked comfy in her yellow oversized sweatshirt, which is paired up with denim shorts and white sneakers. As for the accessories, Kim So-hee wears small earrings and a white watch on her left wrist. Kim So-hee is a cheerful lady in her bright blue top, paired with a black skirt. As for accessories, Kim So-hee wears dark blue sling bag on her left shoulder. Kim So-hee attended the press conference for Idol Drama Operation Team sporting a girly look, in a loose, pale-blue dress with flowers on the upper sleeves and white socks and wedges on her feet. As for the accessories, Kim So-hee wears dangling pearl earrings and rings on both her right and left fingers. Kim So-hee made a heart gesture during her interview with media outlet Korean Sport, while wearing a oversized, white top and high-waisted denim skirt. Though not really apparent, Kim So-hee also wears a pair of dangling earrings as the accessories to complement her whole look. In an interview with media outlet Ten Asia, Kim So-hee showed another comfy office look, as she wears a dark blue sweater, paired with a pale pink miniskirt. As for the accessories, Kim So-hee also wears a pair of pretty earrings. Kim So-hee looked innocent on the red carpet at the Korean Culture Entertainment Awards, wearing a shining white dress and a pair of heels. Though she chose not to wear any accessories, we already can feel how gorgeous Kim So-hee was that night! Kim So-hee gave a finger heart after finishing her schedule, wearing a black floral blouse and black miniskirt, shoes, and socks. Similar to the pattern of her top, Kim So-hee also wears a pair of white flower earrings and black tote bag on her left shoulder. Kim So-hee looked cute wearing a bright blue top, with white shorts and black shoes and socks. As for the accessories, Kim So-hee wears a blue ribbon in her hair and a pair of pink star earrings. Kim So-hee is a playful girl who winks while wearing a black shirt with a flower pattern, which is paired up with white shorts and sneakers. As for the accessories, Kim So-hee is rocking the pigtails and wearing a silver bracelet on her right wrist. Finally, in the last picture, Kim So-hee attended a press conference of her advertised product wearing a grey and pink striped top and high-waisted denim skirt. Despite not wearing any jewelry, Kim So-hee still looks fresh, don’t you think so, dear readers?